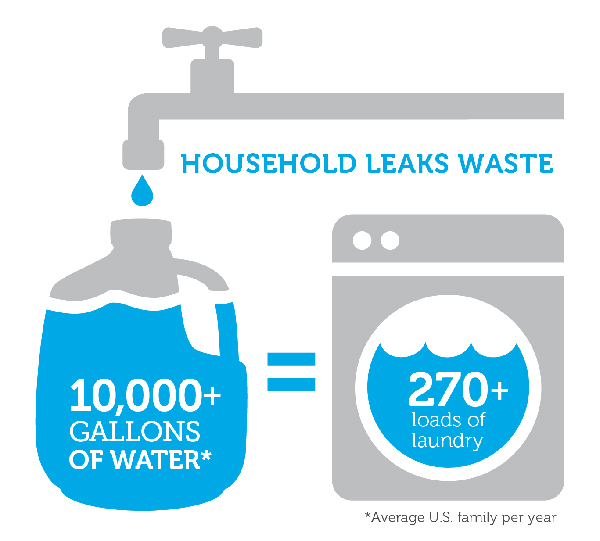 Home and business owners often don’t realize just how big of a problem a leak can be. It is very problematic and can lead to higher water bills and extensive damage further down the line. Hidden leaks can easily cause serious damage to your property before you even notice there’s a problem. That is why you need a professional with the right skill and equipment to detect and handle the issue. At Lightfoot Plumbing, we have over 33 years of experience and can carry out water Leak Detection services with full care and precision. We know what happens if you don’t deal with the issue quickly and efficiently, which is why you can count on us to complete the job to the highest of standards. We will send out a plumber in Weatherford TX who is fully licensed and treats every customer with the utmost respect. Leaky pipes are a common issue for home and business owners alike. Some leaks are easy to spot; you may have noticed water leaking from the ceiling or trickling down the side of your walls. However, some are far more difficult to detect. Water leaks can be caused by a variety of issues, some trickier to deal with than others. If you don’t deal with a clog in time, it can commonly result in a water leak. There are various things that can cause a blocked drain, including hair, food, and grease. Over time, your pipes will undergo a bit of wear and tear. This can cause your pipes to deteriorate or shift, ending in a leak. In our neck of the woods the shifting soil has a large impact on pipes cracking or braking. These leaks tend to be hard to detect unless you are a professional plumber. When tree roots grow into your external plumbing it can be very problematic. These leaks are also difficult to notice and locate and require the help of an expert to find. Household leaks can cause huge structural damage to your home. It can cause mold to grow, as well as other issues that are often very costly to fix. If you think you may have a leak in your home, be sure to contact an experienced professional as soon as possible. Our team is on hand day and night to take your call, so don’t be afraid to pick up the phone at any time – we are available 24/7! At Lightfoot Plumbing, we use quality equipment and expert plumbing skills to detect hidden leaks in your home. We have years of experience and undergo the necessary training to help homeowners with a variety of plumbing issues. We use different techniques to help us locate the leak, including meter detection, dig and drill, and infrared technology. We do more than just detect the leak; we work hard to minimize the impact this issue has on your property. Our plumbers are quick and efficient and treat your property with complete respect. There are a few signs you can look out for that will help you to catch a leak so you can halt the progression and avoid more costly damage from occurring. Most of the time people will notice a higher water bill, which is one of the telltale signs that you have a problem with your plumbing. As soon as you spot a potential leak, be sure to contact our team so we can remedy the situation in a timely manner. It may not always be easy to pinpoint the source of the problem, but our plumbers are experienced and experts at their job. They can perform accurate water leak detection to ensure your property stays safe.